I love exercise and I have to admit, that I’ve been so enthusiastic at times that I ended up with not so good results due to overtraining. I learned my lesson about it and want to share 7 important tips on how to avoid overtraining in fitness. One of my personal goals with exercise is to get in great shape and stay as injury free as possible! Nutrition. Make sure you are getting the balance of your healthy fats, proteins, and veggies. When you eat the right way, you will reap the benefits: energy, endurance, muscle growth, and recovery. Sleep. This is huge. 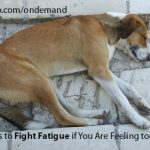 Sleep is so important for your body. Your body repairs itself during sleep so you need plenty of it. At least 8 hours a night. It’s make a big difference. Take a day off. Even though we love exercise, you’ll get better results if you take a day off during the week. Get a massage. Ahhh. Massage helps to break down the lactic acid in your body and flush out your system. It will also get rid of the knots. If you can’t get a massage, get a foam roller at home and start rolling! It’s a great way to break up muscle knots and release trigger points. Mix up your training style. If you do the same exact activity every day, you are constantly working the same muscles and your body can plateau. You’ll also end up overtraining those muscles which can lead to injury and less results. Even if it’s just cardio, mix it up: running, walking, biking, hiking, stair climber or elliptical. Mix it up! When weight training, be sure to work different body parts each day instead of working the same body parts each day. Have a game plan. Each time you work out know exactly what you are going to do. Having a schedule will help you get it done instead of standing around wondering what to do. Then you can check it off your list! Drink water. It’s so important to stay hydrated to stay at the top of your game. About 75% of your body’s weight is made up of water, so be sure to drink plenty of it. When you exercise, you lose water through sweat (even though you may not realize it.) You must replenish this by drinking up! 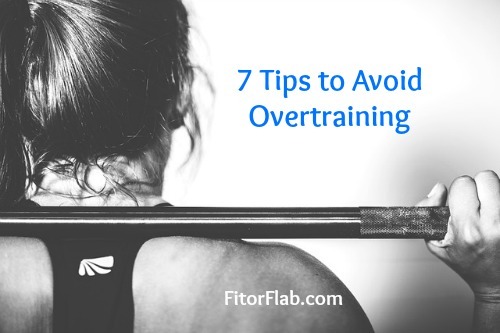 That’s your 7 tips to avoid overtraining. 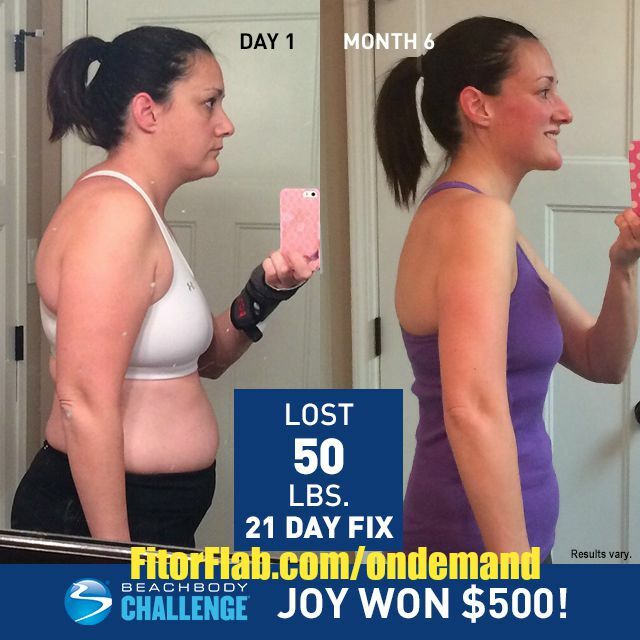 Be sure to check out Team Beachbody for even more great fitness tips.